We, the undersigned, are concerned citizens of Canada and many of us are members of the Royal Canadian Legion and or Motorcyclists who insist that Dominion Command reverse their decision to ban the colours and logos of "Outlaw" motorcycle clubs until and unless a CLEAR and specific definition of which motorcycle club patches/logos/colours are allowed and not allowed inside of a Legion or on property owned by Legions or at services held by Legions is provided to ALL BRANCHES. Many modern day veterans ride and wear motorcycle club and motorcycle riding club patches and logos. The majority of theses motorcycle clubs and motorcycle riding clubs are non-criminal and non-gang related. To ban them from wearing their logos in our Legion's means cutting these veterans out of an establishment that is meant to support them. The decision that Dominion Command has taken, we believe is short sighted and will potentially open the branches up to discrimination law suits OR branches will begin shutting down as motorcycle riding clubs and their supporters begin boycotting the branches and refrain from attending and supporting fundraising events like Poker Runs that originate from many Legions. Further we ask that a written and public apology be made to ALL VETERANS of Motorcycle Clubs and Motorcycle Riding Clubs who wear their medals, medals they earned in service to our country, on their leather vests. There is NOTHING disrespectful about a veteran wearing their medals with pride, even if they are on their pyjamas. They earned them and Dominion Command has NO right to determine what is appropriate fashion for ANY veteran to wear, especially those who are not members of the Legion. They fought for the Charter of Rights and Freedoms and the Dominion Command BAN of "colours & logos" and the disparaging comments regarding the dress of veterans goes against the Charter and everything that our soldiers and vetreans have fought for. 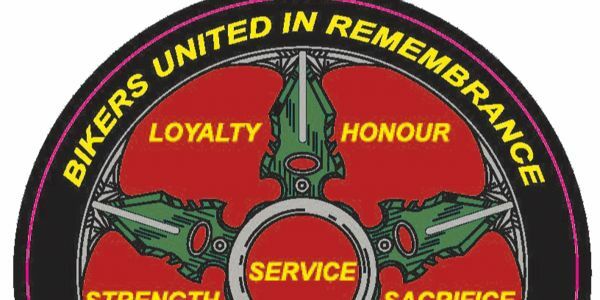 We demand that an apology be issued and an immediate about face regarding the ban of colours and logos of motorcycle clubs and motorcycle riding clubs in Royal Canadian Legions until a list of who is not allowed and who is allowed to attend at Legions and their functions is supplied to ALL BRANCHES.